Water is amazing; if you think about it, it’s practically a miracle drink. It keeps our bodies hydrated and helps us function, and it’s calorie-free to boot. And it’s probably the one thing that most of us (hopefully all of us) have every single day – whether you’re human, dog, cat, or even cow – it’s an essential part of life. At home, I’m lucky enough to drink water straight out of the tap. In fact, most people living in the US are blessed to have access to clean drinking water – which can’t be said for the rest of the world. If you have access to clean drinking water, consider yourself fortunate. Anyway, while I’m on the road or even on the run and without access to my tap, I’m often presented with a plethora of bottled (and even boxed) water choices. I’ve heard so many health experts touting alkaline water – saying that this type of water is healthier and beneficial to your overall health – I’ve heard claims that drinking alkaline water will slow the aging process, increase your energy and even prevent chronic disease all by regulating your body’s pH level. If you’re unfamiliar with pH, it is the measure of the acidity or alkalinity of any substance or solution. The pH stands for potential hydrogen (I truly appreciate spending my teenage years as a lifeguard measuring the pool’s pH for that fun fact) – and the scale runs from 0-14, 7 being the neutral point. So liquids with a pH of 1 are very acidic and liquids with a pH of 13 are very alkaline (science, y’all). Your tap water is somewhere close to the middle with a pH that is approximately 7. You still with me? So what the pH….is alkaline water? And why should we care? Alkaline water has a higher pH than regular water — generally between 7 and 9.5 — and is thought to help balance out the body’s natural pH, kind of like an antacid, only it’s water instead of a chalky pill. Let’s be clear, alkaline waters don’t eliminate all acid from the body – you wouldn’t want that as some acids are super important – like stomach acid, for instance – which helps aid digestion (aka break down your food). What alkaline water can do is provide more neutralizing – think stabilizing – pH to the body to help you stay hydrated, balanced and more alkaline. 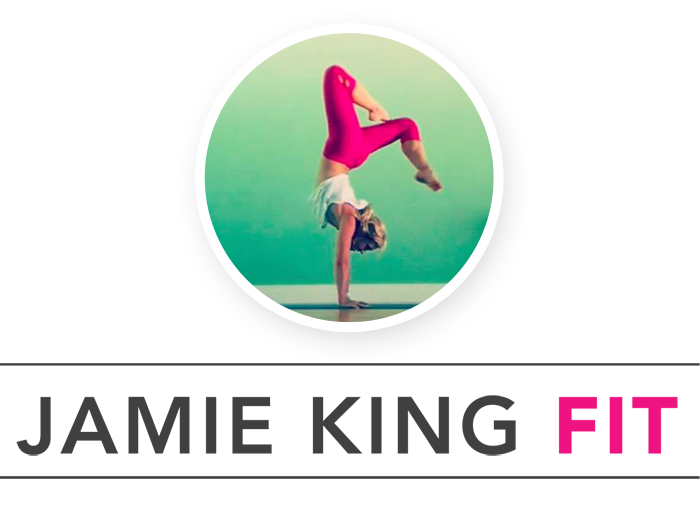 And the more balanced your body, the more energy you have, the better you feel and also look. While there is no firm research that alkaline water is absolutely imperative to your health, what I have found is that it can’t hurt you. I like to drink it after long runs, extra sweaty yoga sessions or while on long roadtrips or during long meetings – basically any situation when I might be churning up a little extra acid in the body or in need of some extra hydration! 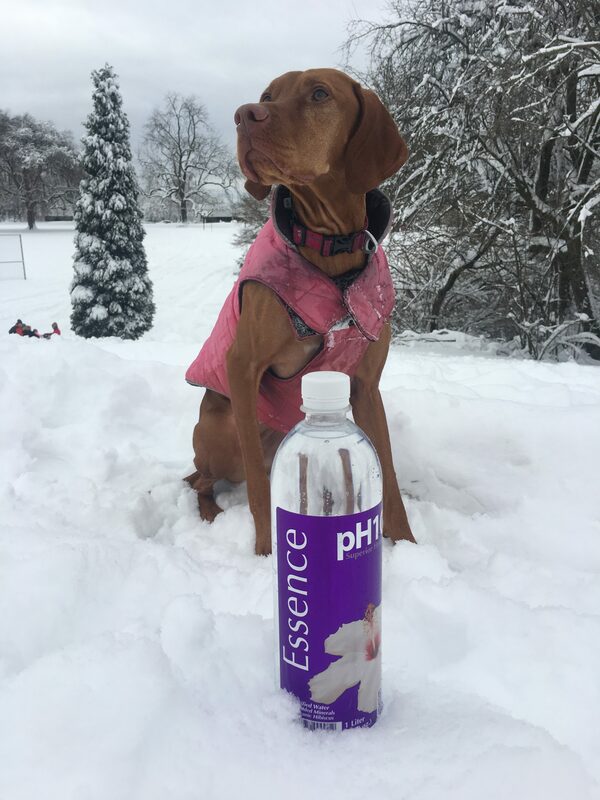 If you’re feeling like you need an energy boost or even need a little digestive reasoning, try a pH balanced water like Essence pH10. 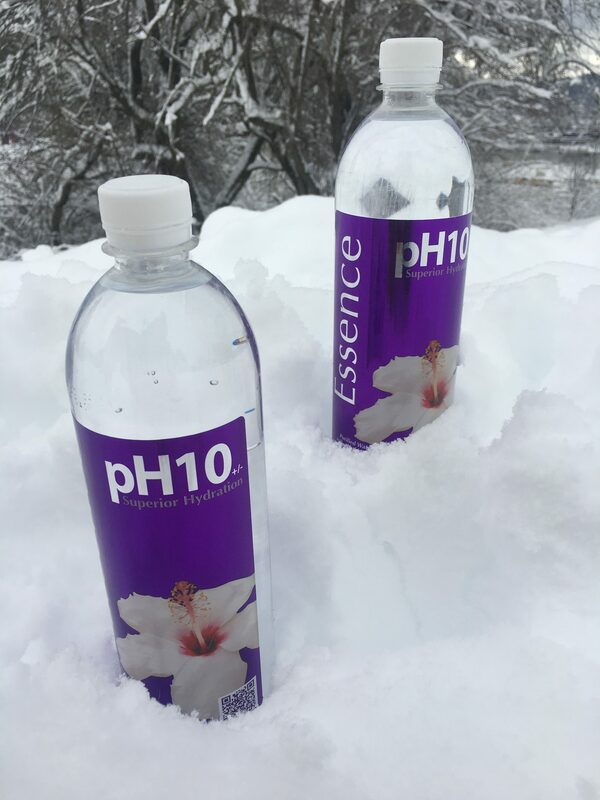 Essence pH10 is not only pH balanced water but it also includes other essential minerals (calcium, potassium, magnesium and zinc) as well as Hibiscus (a flower that loves the sun and water) for optimal hydration and balance. Have you ever tried pH balanced water? If so, what’s your favorite and why? Disclaimer: I was sent Essence pH10 water for review. That being said, all other thoughts, opinions, words are my very own. I truly appreciate all of the wonderful brands that support the Sweat Pink community. You sweat as much as us, you gotta find all the good ways to stay hydrated! Thanks for sharing and can’t wait to try it! GET READY FOR ALL THE HYDRATION! The best part of drinking Alkaline Water, it alkalizes our body pH from acidic to alkaline pH, because cancer and many other illnesses cannot live in alkaline environments. Great post. Yes – true – thank you for your comment!